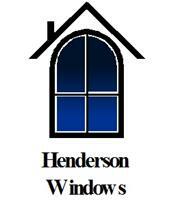 Henderson Windows - Fascia/Soffits/Guttering, Windows/Doors/Conservatories based in Stevenage, Hertfordshire. Henderson Windows is a FENSA registered company with may years experience in the trade. Offering you high quality products and workmanship at affordable prices. We supply and install an extensive range of uPVC, aluminium and wood windows, doors, bi-folds, conservatories and porches.